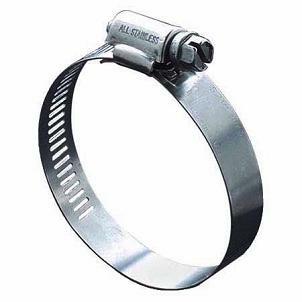 PRODUCT: #56 Hose Clamp, Marine Grade, All Stainless Steel Parts, 1/2" Wide Band. Clamp Range 2-1/4" to 4" diameter. Price/Each.